It is a truth universally acknowledged that, compared to the United Kingdom as a whole, Scotland tilts a little to the left. How far to the left Scotland tilts is something we don’t yet really know; in the run-up to the Independence Referendum the SNP pursued a disappointingly unradical policy, an almost Labourite technocratic administration distinguished only by its relative competence. But the fact remains that even counting Labour as a right of centre party, there are more left of centre MSPs than right of centre MSPs – there is a majority at Holyrood which is to the left of the Labour left-wingers, at a time when the Scottish Labour Party is itself somewhat to the left of its UK parent. This was one of the key drivers of the Yes campaign in the referendum. The left in Scotland has lost confidence in the possibility of seeing progressive government in the UK, and consequently sees the prospect of independence as a means by which a more left wing state can be achieved. How left wing? We don’t know. No-one knows. Given the chance, it will develop. It may become Scandinavian style social democracy. It may become Clause Four socialism. It may become full blown communism. It should be up to the people of Scotland to decide. And, as today’s Ipsos MORI poll shows, the djinni is not back in the bottle. Any devolution settlement which does not permit Scotland to evolve – if it so chooses – Socialism in One Home Nation, is not a devolution settlement that can last. That means that is is not possible to devolve this tax but not that tax, this benefit and not that benefit. The possibility must be allowed for in which the constituent nations of the United Kingdom raise taxes on bases wholly different from one another. Scotland must have the option of raising taxes principally from wealth, or property, rather than from income or consumption. Scotland must have the option of instituting a Citizens’ Income rather than retaining a complicated and inconsistent mess of means-tested benefits. We’re not saying that there is now an appetite in Scotland for any of these things, but rather that Scotland is on a journey and we don’t yet know where that journey will lead; but if the devolution settlement is not sufficiently open and flexible to accommodate the path that Scotland chooses, then the devolution settlement will fail. then that is Scotland’s choice, and must prevail. The same applies to policy on energy. Scotland has different energy resources, and different energy opportunities than the other home nations. It has significantly higher average windspeeds, a much longer coastline exposed to rougher seas and fiercer tides; it has much more fossil hydrocarbon reserves already discovered than it can responsibly afford to bring to the surface and burn. At the same time it also has scandalous levels of fuel poverty. Scotland should not be forced to pay to subsidise a nuclear power station in Somerset which it categorically does not need. But similarly, Scotland should not be forced to accept fracking on its own soil. Scotland may choose to frack, or not; it may choose to buy expensive baseload power from the French government’s power station in Somerset, or not. Energy policy, like social policy, taxation policy, education policy, transport policy, must be devolved, and for the same reasons. So the question becomes, what should not be devolved? It is a fact which cannot be denied that there was a referendum on independence, and the Yes side – on which we stood – lost. Because the Yes side lost, the pro-union parties are feeling encouraged in a spirit of triumphalism to row back from the generous offers they made in the closing days of the campaign. They are well advised to be cautious in doing so. The Ipsos MORI poll published by STV today suggests that pro-independence candidates – the SNP – will take 54 of the 59 Scottish Westminster seats at the general election in just six months time. And if that should happen, then the outcome of the referendum is moot: there will be a clear and incontestable mandate for independence. The will of the Scottish people is by no means settled. 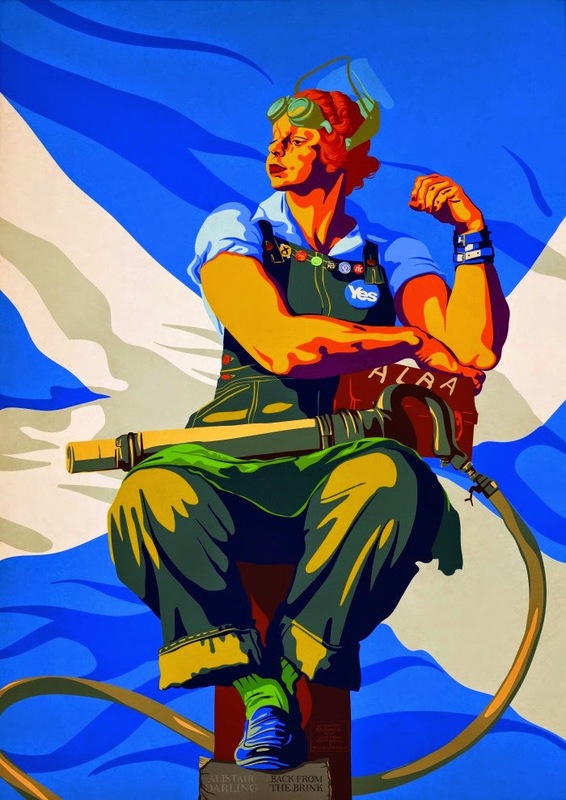 The positive case for the Union, in so far as it was made at all by the No side during the referendum campaign, seems to be that the Union allows a Labour government to impose, with Scottish votes, policies on England that the English do not want and the Scots would not themselves tolerate; and it allows Conservative governments to underpin their economic incompetence with the proceeds of North Sea oil. We’re sorry, you cannot have either of those. The West Lothian Question is a paradox at the core of our constitution; it cannot continue. English votes for English laws may be a slogan of the right, but it’s also clearly democratic and just. The English should be allowed to implement policies which the Scots would not choose for themselves, just as mush as we should be allowed to implement policies which the English would not choose for themselves. In order to prevent that – in order to retain the UK – the pro-union parties must live up to and exceed their pledges. The irreducible minimum that is required for a functioning UK is that Westminster should control Defence, Foreign Policy and Monetary Policy. We acknowledge that if there is to be a Union at all, these things must be retained by the centre. We caution the Unionist parties that little else should be, if they wish the Union to survive a twelvemonth. And acknowledging that Defence policy should continue to be a reserved matter does not mean that we are content that the United Kingdom should continue to park its weapons of mass destruction on Scotland’s lawn, in Scotland’s landscape and within spitting distance of Scotland’s largest city. On the contrary: the United Kingdom has entered into a solemn commitment under Article IV of the Nuclear Non-Proliferation Treaty to entirely disarm. These weapons are illegal, and in retaining them the United Kingdom is in breach of its obligations. There is no reason that Scotland should be required to shoulder the burden of this ongoing shame.